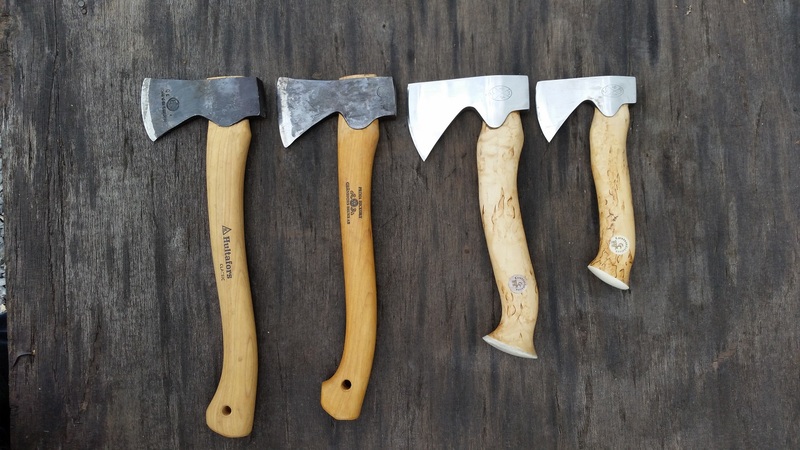 When we heard that Karesuandokniven was starting making axes we got real curious. After some time spent with the Karesuandokniven Unna Àksu I got even more curious when I later got the news about the larger version; Karesuandokniven Stoera Àksu. This is a well shaped and competent tool that's easy to carry inside the backpack, and at the same time I think the Stoera Áksu is a nice sloyd axe. 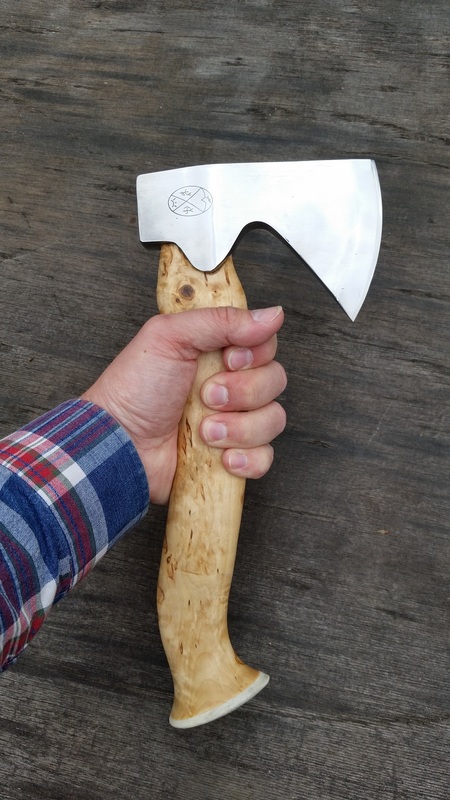 And the fact that the axe is good looking is of-course a great bonus. Have now been using this axe for a while out in the field and it has become a true companion in my hands. 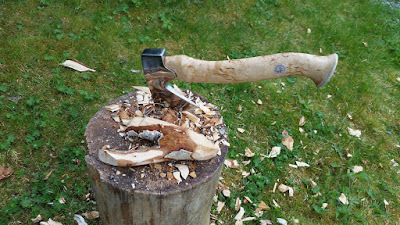 It is also very handy to have the axe at hand inside by the wood stoves when the morning fires are being prepared. 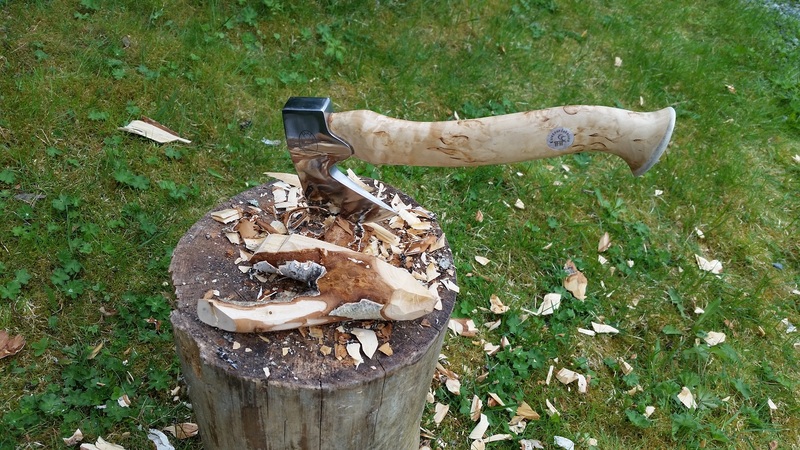 The axe comes in a nice box also containing a diamond sharpener. 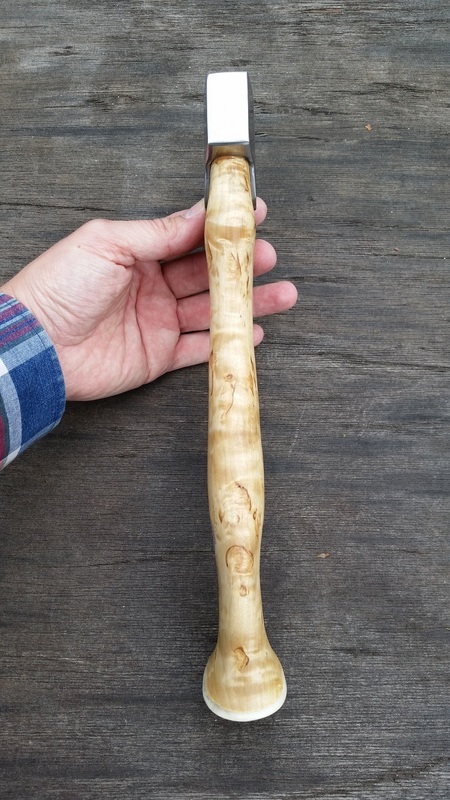 You can read more about the Unna Áksu in one of my mag articles inside the Vapentidningen; click HERE. 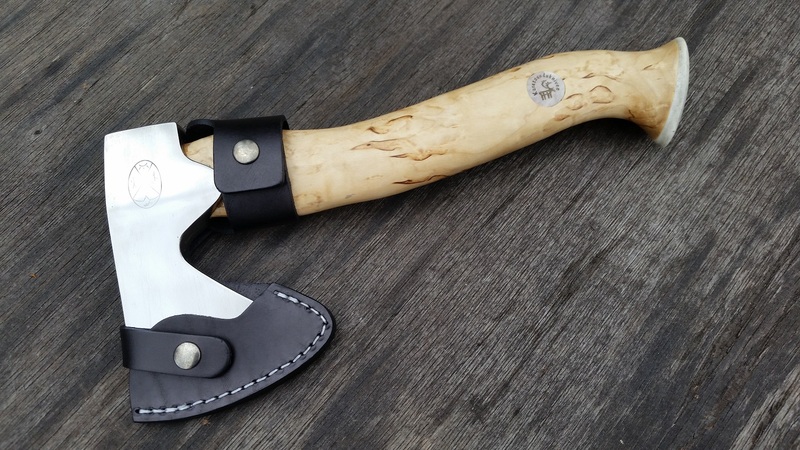 Recently Karesuandokniven also launched a midsize axe by the name of Vuogas Áksu. When at Jonas Vildmark Bushcraft Center make sure to check out the axes from Karesuandokniven.